Our company is engaged in manufacturing supreme quality Unprinted Pouches that are completely transparent and used for storing food items, such as meat, chips, spices, pickles etc. These are transparent pouches, which are used for protecting the item from air contamination and for keeping pouches fresh. 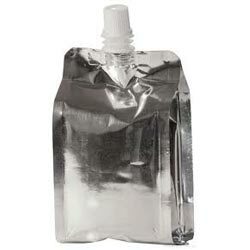 Unprinted Pouches are available in several sizes and shapes as per the specification of our clients. We are engaged in offering finest array of Pouches with Cap that come with Spout opening, widely used in sanitary industry, food industry, beverage industry, dairy industry, cosmetic industry etc. 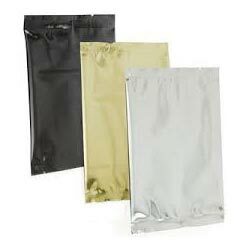 Our company designs these pouches from immaculate material that provide tamper resistance and torn resistant pouches. The spout has comfortable cap with easy opening & closing. These are available in customized sizes as well as in standardized design. 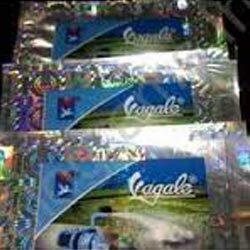 With help of technological advancement, our company is offering finest Holographic Pouches that are widely used in packaging of religious items, chewing tobacco, cigarettes, shampoos, spices etc. This hologram is tamper proof and unaffected by water and abrasiveness. These holograms are completely customizable as per the requirement of our clients. 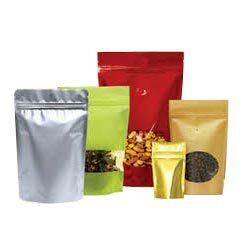 Our company is engaged in developing quality tested range of Metalized Pouches that are used in packing food & edible oils, juices, beverages, chemicals etc. We are offering these in several shapes and capacity as per the suitability of our clients. These pouches are heat resistant and leakage free. The metalized packaging is widely demanded for their safety and durability it provides the goods and material kept inside them.